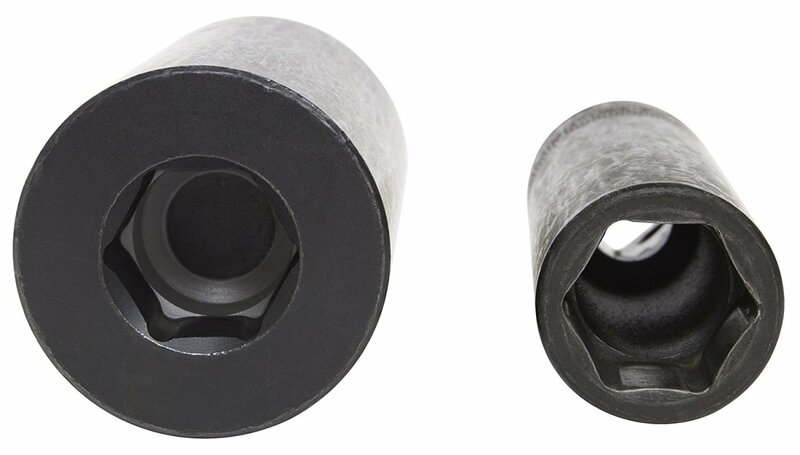 Special tools needed: a Honda 19 mm (crankshaft pulley / harmonic balancer) impact socket used with a powered impact driver. See photos of this special socket below. This 20-minute video will provide you with visual step-by-step help for completing this replacement. The steps are also described lower down in the article. Here are the steps you need to follow to complete this part of the replacement and repair. Remove the plastic push pins that hold the plastic wheel well cover over the crankshaft pulley (the harmonic balancer). 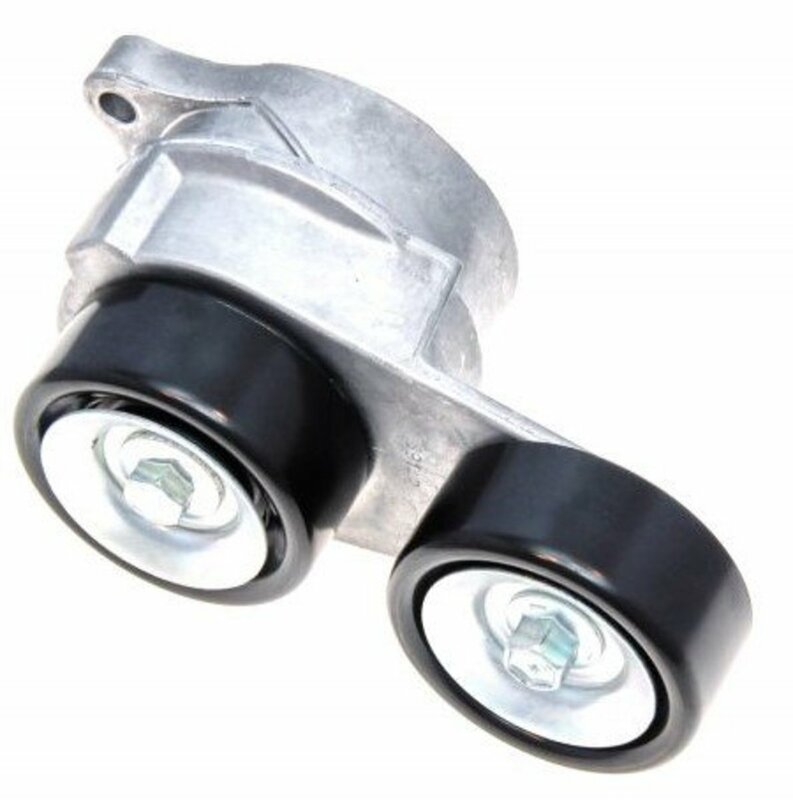 Bend the wheel well cover away from the crankshaft pulley and secure it with a bungee cord or comparable strap. Using a Honda-specific 19 mm harmonic balancer socket, torque off the crankshaft pulley / harmonic balancer bolt with a powered (air or electric) impact driver. Approximately 30 seconds of electric powered impact eventually will loosen the bolt. 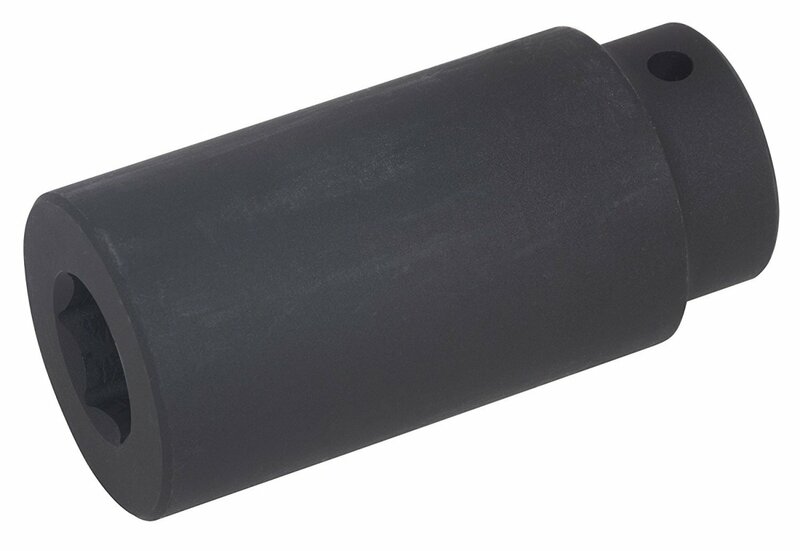 A standard 19-mm impact socket will not work. You must use a heavy, high-mass socket in order to generate continuous twisting torque to remove this bolt. Remove the accessory belt. The tensioner pulley is above the guide pulley. Apply counter-clockwise torque to the center 14-mm tensioner pulley bolt to relieve tension on the belt. (This optional step can be performed now or later). 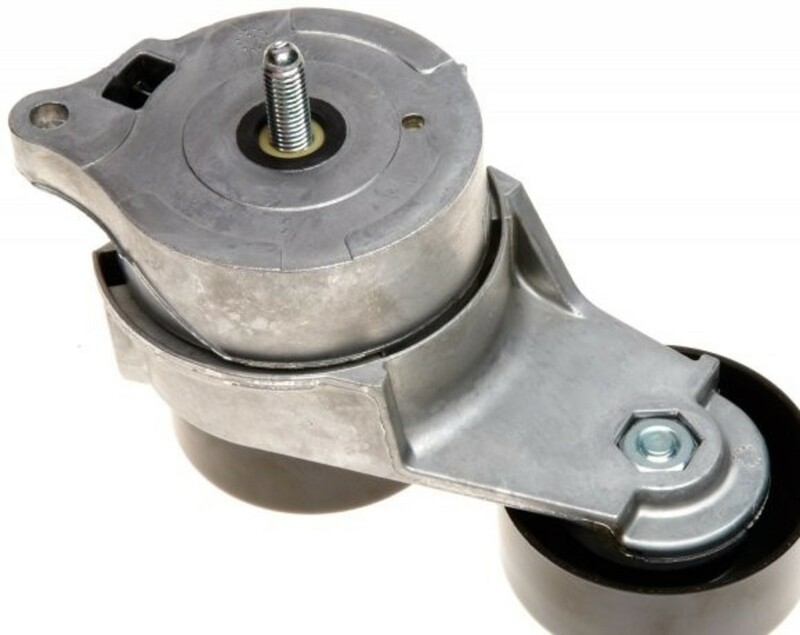 Remove the belt tensioner assembly (which consists of the tensioner and guide pulleys) by removing the bolt at the bottom left of the guide pulley followed by the removal of the center guide pulley bolt. See photos of the assembly below. 1. Remove the black plastic engine cover. Use a screwdriver to turn the two (2) plastic slit screws counterclockwise with a screwdriver to release the tension. The rear of the cover can be pulled out; they are not bolted in place. Disconnect the power steering fluid return hose from the pump by moving the hose clamp away from the pump connection point. The hose can be plugged with a 1/2" short socket extension to prevent fluid leakage. Remove the two (2) PSP mounting bolts. One, in the back of the pump, can be clearly seen, and the other is underneath the pulley. Move the PSP away from the timing belt area and hold it in place with a small bungee cord or other strap. Pull the PSP fluid reservoir out of its bracket and move it away from the work area. The passenger-side motor mount is blocked from removal by four (4) large electrical levered harness connectors. Three (3) of the connectors are mounted and levered into an electrical bus. Pinching the top portion of the gray lever clip followed by pulling down on the lever will disconnect the electrical connection. The bottom electrical connection is a "stand-alone" connection. The electrical bus is supported over the right front fender by three (3) 10 mm bolts. The three (3) bus connectors are protected by a black plastic cover. Remove the plastic cover on the back of the electrical bus. It's clipped on the right and levered on the left for pull-out removal. Disconnect the three (3) electric bus connectors. Pinch and pull down on the gray levers. Unbolt the three (3) 10-mm bolts that hold on the bus assembly and the bolt that holds the A/C high-pressure line. Detach all plastic wire harnesses. Disconnect the last wire connector that was below the bus assembly. Move the wire connectors away from the motor mount. Before taking off the side motor mount, support the engine by placing a hydraulic jack below the engine oil pan. Protect the pan with a block of wood. Remove the two (2) bolts that secure the round mount to the engine side mount. Remove the long bolt that runs through the center of the round motor mount and remove it. Remove the bolts that hold the motor mount bracket to the chassis of the car. Remove the motor mount bracket. Optional: Loosen the three (3) bolts that secure the side motor mount bracket to the engine. The bracket cannot be removed until the timing belt covers have been removed. If not previously done, remove the accessory belt tensioner assembly. 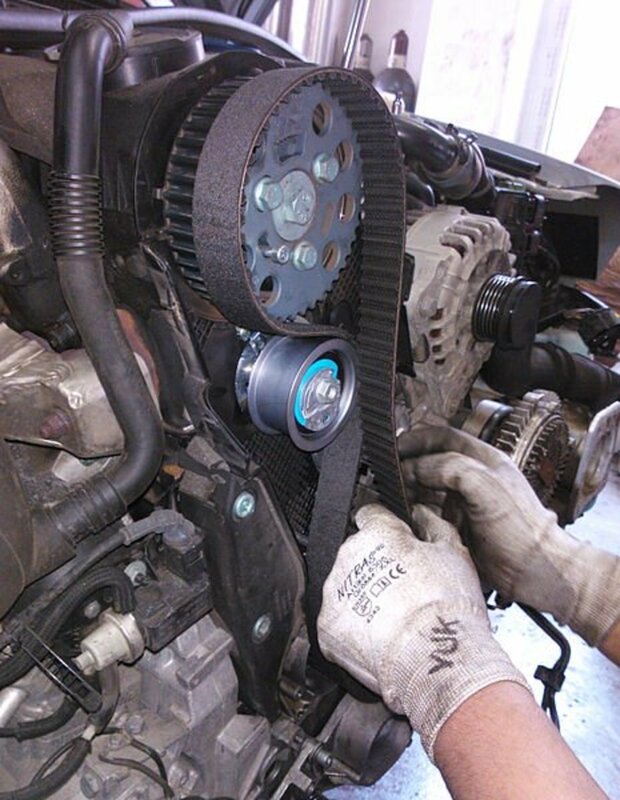 Remove both the left and right timing belt covers. They are held in place by 10-mm bolts, all of the same size. 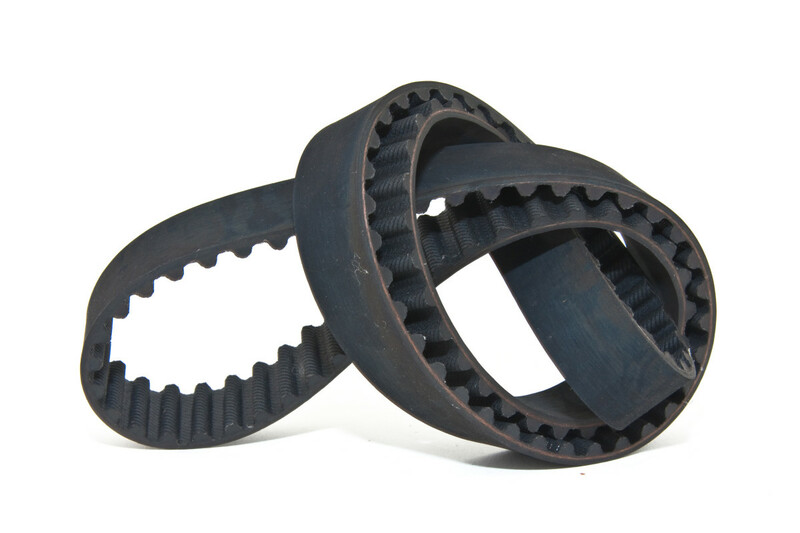 Remove the lower timing belt cover and the timing belt guide plate on the crankshaft sprocket. Remove the 10-mm bolt on top of the side motor mount bracket. Remove the three (3) bolts that hold the side motor mount bracket onto the engine and remove the bracket. 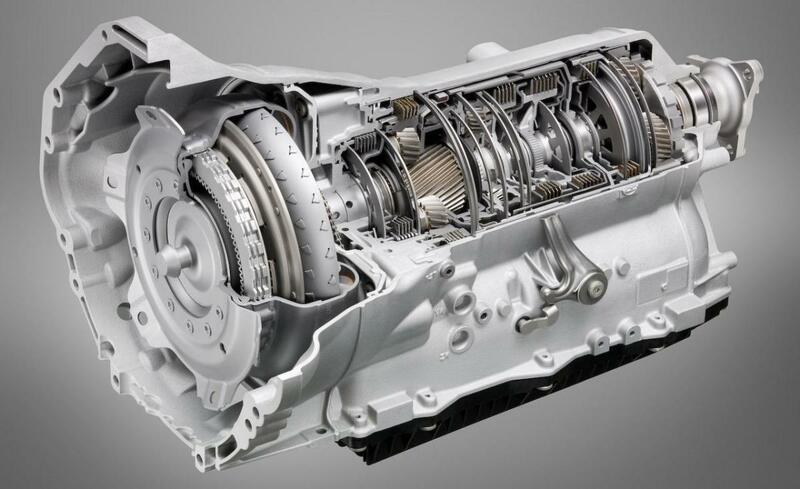 Before you remove the timing belt, you must position the crankshaft and camshaft timing marks. To do this, you need to reinstall the crankshaft / harmonic balancer bolt back onto the crankshaft so you can manually rotate the engine to achieve alignment (see 10:20 and following in the video). There is a vertical arrow on the engine block above the crankshaft pulley, and vertical line marks behind each of the camshafts. Install the crankshaft bolt. Using a long-handled (or cheater-bar assisted) ratchet wrench, rotate the engine clockwise until the alignment mark on the crankshaft pulley is in alignment with the vertical arrow on the engine block. Check the alignment marks with the camshaft. The right bank (firewall side) camshaft indentation mark should be in alignment with the vertical line mark on the engine block. If not, you need to rotate the engine another 360 degrees. The right-bank camshaft alignment mark should now be in alignment and the crankshaft pulley in alignment with the engine block arrow. The left-bank camshaft should be in alignment as well. Apply paint marks on the old belt to match the camshaft alignment marks. On the crankshaft side, apply a paint mark to both the belt and the crankshaft pulley. The paint marks on the old belt can be transcribed onto the new belt, which will make mounting and installing the new belt easier. Optional: Remove tension torque off of the timing belt guide pulley and tensioner pulley bolts. Remove the two (2) bolts that hold the belt tensioner onto the engine block. 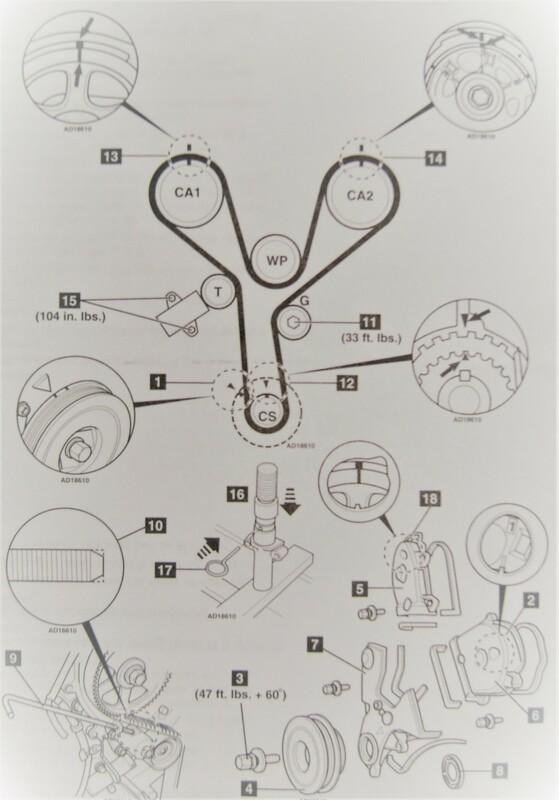 The lower bolt cannot be removed unless you remove the oil pump pressure sensor to provide a path to the lower bolt. Note: There is a rubber O-ring gasket for the oil pump pressure sensor. Locate the semi-circular bracket that surrounds the lower portion of the timing belt and the crankshaft pulley (12:30 in the video). Remove the two (2) nuts that hold this bracket in place before removing the belt. 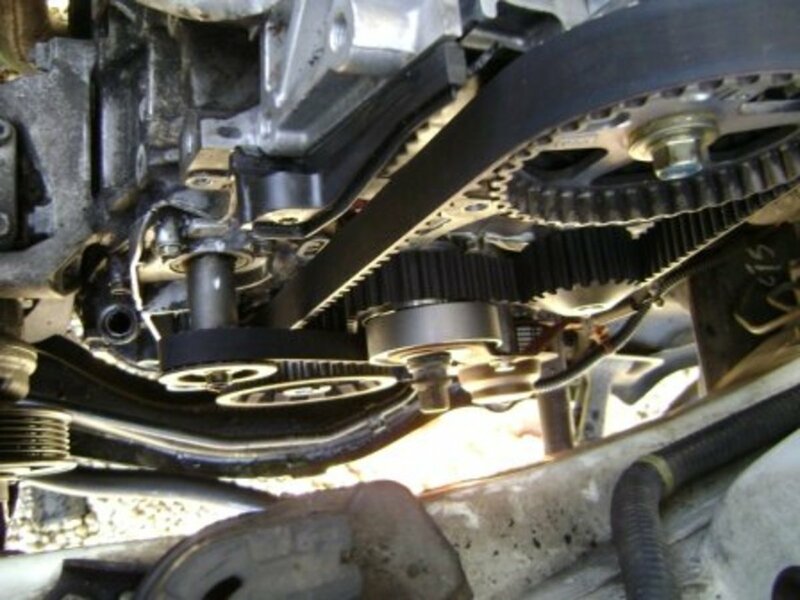 Remove the tensioner and idler timing belt pulleys. The water pump is held in place by five (5) 10-mm bolts. 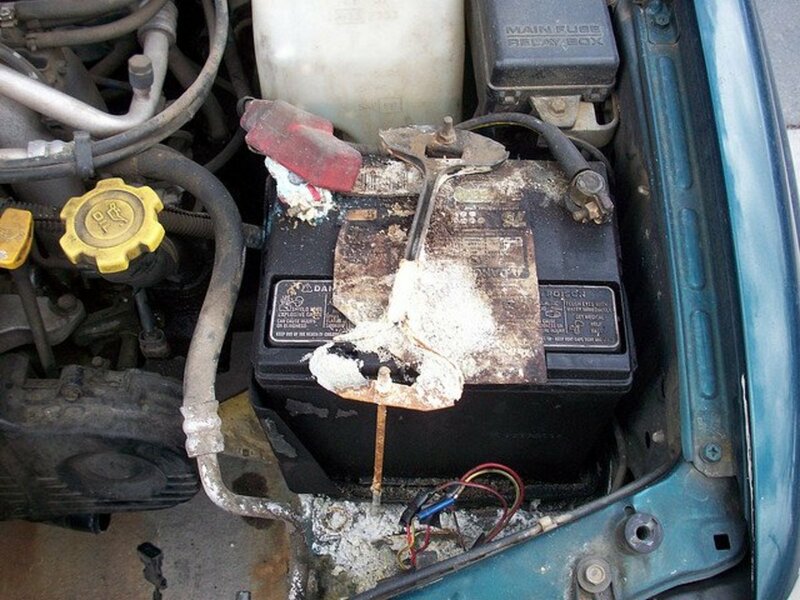 It's a good idea to place a large plastic pan underneath the car to capture the coolant that will splash out of the engine when you remove the water pump. A plastic concrete-mixing pan can be purchased at most hardware stores for less than $10. Remove the five 10 mm-bolts that hold the water pump to the engine. Remove the pump. A small pry bar or screwdriver can help break the seal between the pump and engine. Make sure the O-ring is removed with the water pump. Clean contact surfaces with a wire brush. Install the new water pump O-Ring onto the new water pump. If the O-ring will not stay on, a small dab of dielectric grease or super glue between the O-ring and the pump will help it stick. Mount the new water pump onto the engine block and finger-tighten on the 10-mm bolts. Using a 1/4" socket wrench, apply staggered torque to all the mounting bolts. Transfer the paint marks from the old timing belt paint to the new belt. Make sure you can distinguish the camshaft mark from the crankshaft mark. The old tensioner pulley bracket will have a metal bolt sleeve recessed in the bracket hole. Transfer this sleeve from the old bracket to the new bracket. Remove any corrosion with a wire brush and apply a light coat of grease. Re-compress the timing belt tensioner. If you did not buy a new tensioner, you can re-use the old one. 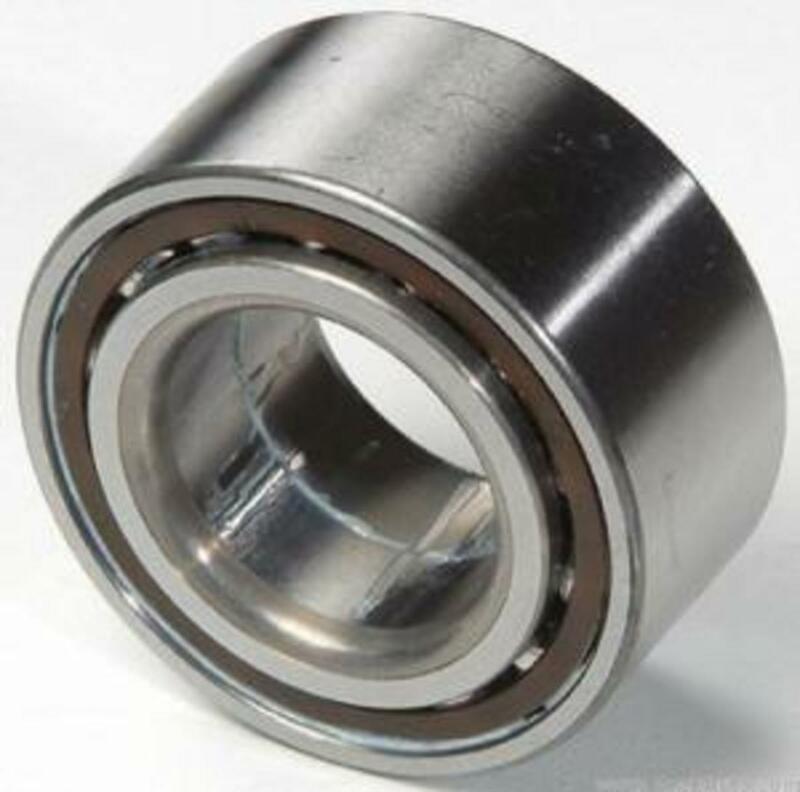 The tensioner's center shaft must be pushed in (compressed) and held in place with a high-strength steel pin (like a drill bit). I re-use steel pins from previous timing belt jobs; they're called "grenade pins" because that's what they look like. However, a drill bit will work just fine. There's a pinhole in the center shaft that must align with a pinhole on the outer edge of the tensioner. Place the tensioner in a large vice and squeeze down the center shaft with every turn of the vice handle until the holes line up. Insert the drill bit or grenade pin and remove the tensioner from the vice. Do not allow the pin to extend too far beyond the tensioner. Bolt on the new tensioner pulley bracket (with the new pulley) and the idler pulley. You can apply Threadlock to the bolt threads to ensure they won't "walk out" with vibration. Do not over-torque. The bolts are steel, and the engine block is aluminum; over-torquing will strip the engine block threads. Mount the new timing belt onto the crankshaft pulley and align the paint marks. Hold the belt in place and install the semi-circle belt bracket. This will prevent the belt from slipping off. The belt bracket is held in place with two (2) 10-mm nuts. Mount the timing belt over the right (firewall) side camshaft sprocket and align with the paint marks. To ease installation, turn the crankshaft sprocket one cog clockwise to provide more belt slack. There should be enough slack to slip the belt over the tensioner pulley. Clips can be used to prevent the belt from coming off the camshaft sprocket. Note: If the camshaft "springs" past its timing mark, realign the sprocket by using a box wrench on the sprocket bolt to turn back the sprocket. Mount the timing belt over the left-side camshaft sprocket and align the paint marks. To ease installation, turn the crankshaft sprocket one cog counterclockwise from the center alignment mark to remove the belt slack on the right side. There should now be enough slack to slip the belt under the new water pump. If not, moving the left-side camshaft sprocket one cog to the left (counterclockwise) should provide adequate slack. Install the timing belt tensioner. Turning the crankshaft sprocket clockwise should provide slack to install the two (2) 10-mm tensioner mounting bolts. Pull out the belt tensioner pin (drill bit or grenade pin) to allow the tensioner shaft to spring out and apply pressure to the tensioner bracket. Needle-nose pliers can be used to ease the removal. Crankshaft pulley bolt with the large washer attached. Ensure the power steering pump reservoir is slotted into its holder. Fill the reservoir with Honda-compatible steering fluid. Remove the radiator cap and fill with Honda-compatible blue coolant. Remove the hydraulic jack supporting the engine from the oil pan. Start the car and let it run until normal operating coolant temperature is reached. Add coolant when the level drops. Put the fender splash guards (mud guards, wheel well covers) back in position and fasten them in place with the removed push pins. 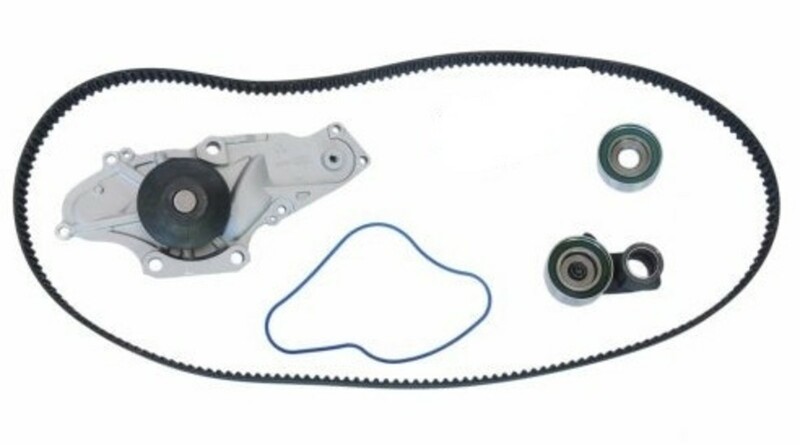 Can you tell me the part number for a Honda Pilot 2012 timing belt kit? Could not using the Honda 19mm crankshaft pulley/harmonic balancer) cause the car to crank, but not start? The spark plugs do have spark. While trying to start, you can smell fuel. Just had a friend mechanic change head gaskets and timing. I don't think he's familiar with Honda's. I did pay him for the job. He brought it back. 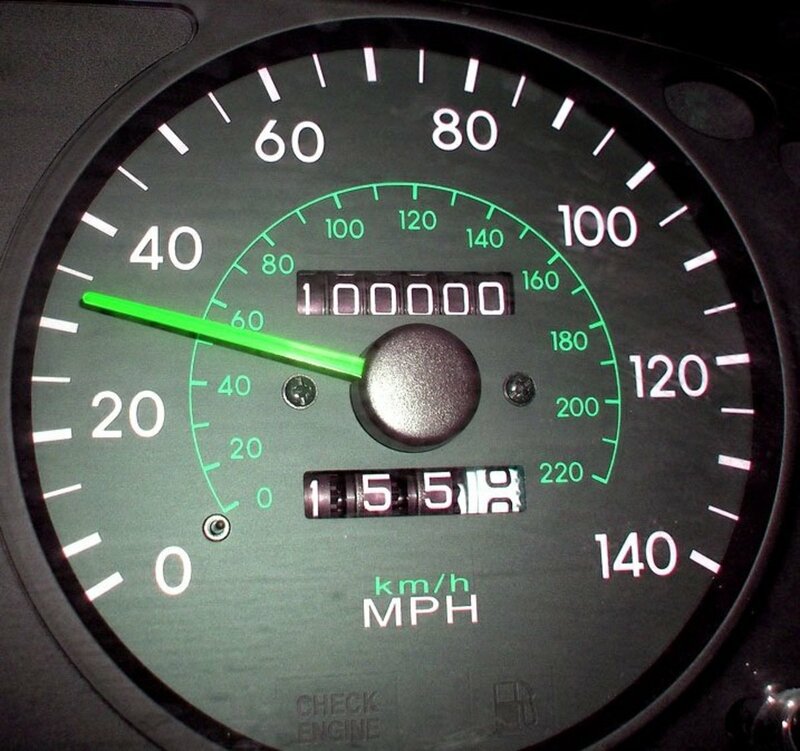 It cranked and cranked, and started a few time, but hasn't since. The head gasket replacement is a big job and anything can go wrong. 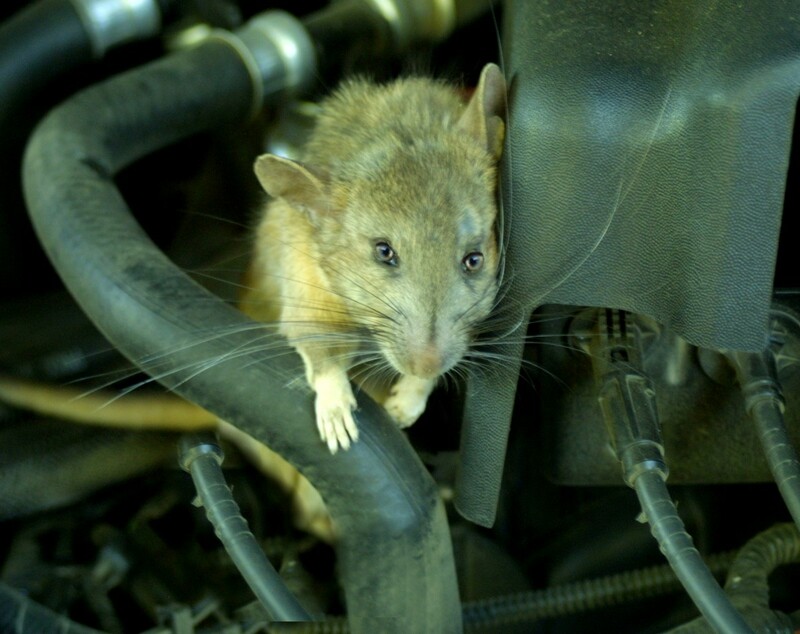 The mechanic should honor is work and attempt to get the car operational. What Happens When Your Car's Timing Belt Breaks? For me, around 5 hours. re-check that all your electrical connectors and vacuum tubes are attached.